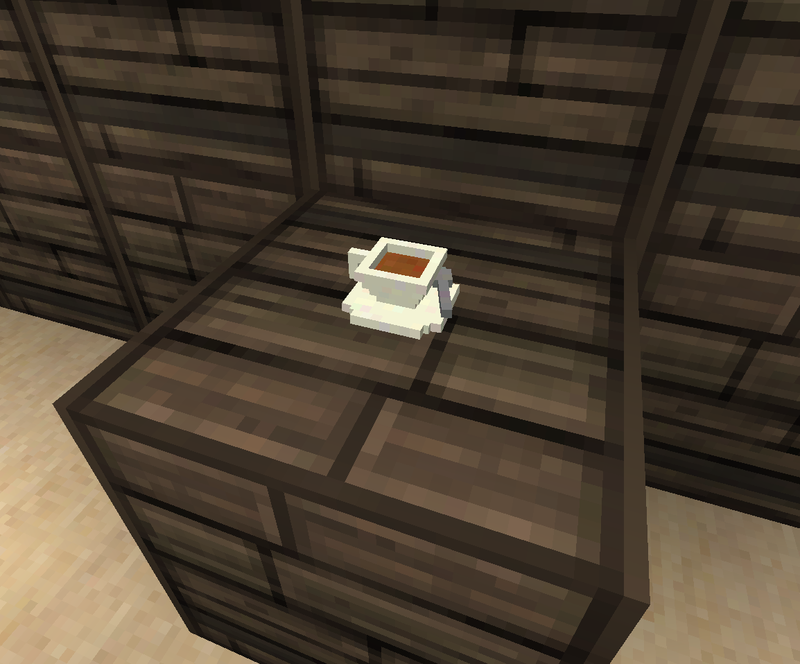 NOTE: This mod REQUIRES PTRLib to work. It is a dependency!!! Q: OMG it crashes! asdgfnjafdj! A:I need to see your crash report, "It crashes" is not helping, nor is you raging all over my comment section. If you don't post your crash report I cannot help you and WILL ignore you. Q: When I look at the object it turns black! Q: My game takes forever to load and/or crashes! 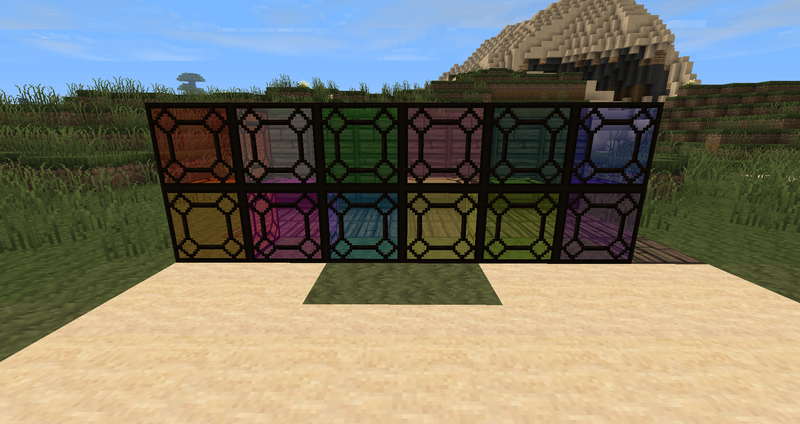 A:Please allocate AT LEAST 2GB RAM to your Minecraft! 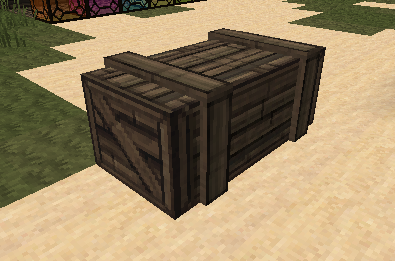 Q: Can you backport/update Decocraft for version X.X.X?! 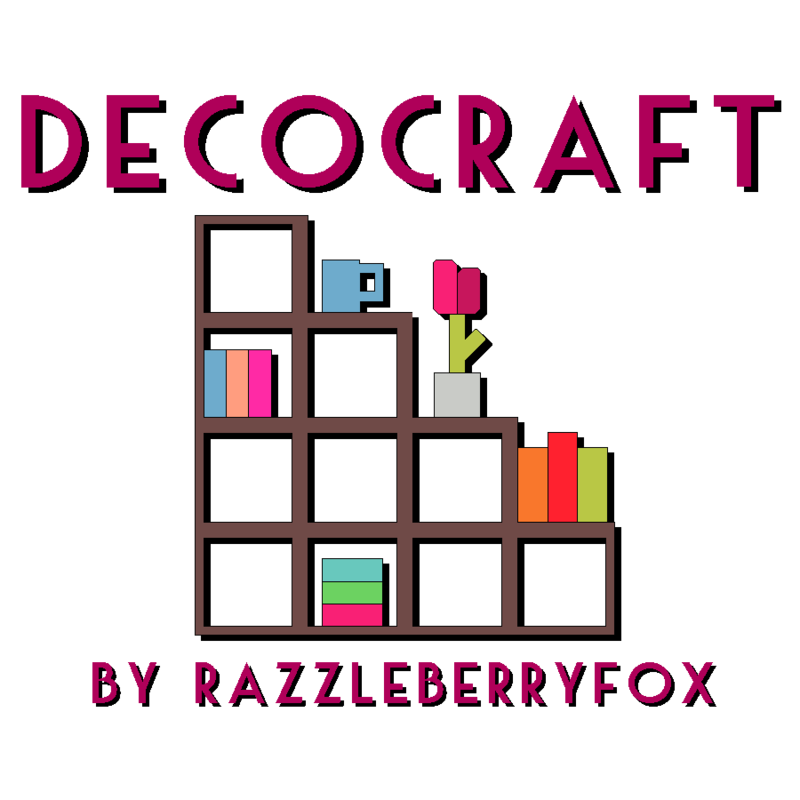 Q: Can I use Decocraft in my Mod Pack?! A:PLEASE DO NOT NOT NOT Paste your crash log in my comment section as is. Put it in http://pastebin.com/ and send me the link. If you post a wall of text I will just delete it. This is BASIC posting etiquette. Q: I used WORLD EDIT and my awesome map is ruined! This is all YOUR fault Razz! A:No. Just no. 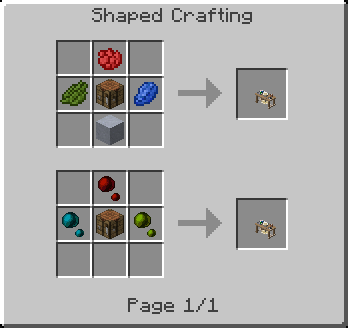 World Edit does weird stuff and does not save the models data properly, any actions done with world edit on a chunk will reset all data to 0 (annoying but I don't know if I can't fix it) MAKE A BACKUP BEFORE YOU USE WORLD EDIT. I won't be held responsible, this is why backups are a thing. It is completely backward compatible, but backup your world just in case! Want to help with translations for this mod? Submit your translations here! 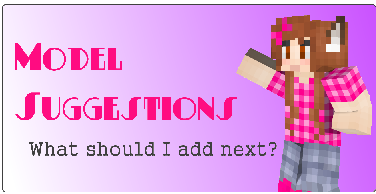 <------- Click Here to make your suggestions!!!! Special thanks to the amazing @Agpicklefeet for her amazing models! This document is Copyright ©(2013) of RazzleberryFox (hereafter referred to as "The Owner") and is the intellectual property of The Owner. Only Minecraftforum.net and mcmodcenter.net is able to host any of The Owner's material without the consent of The Owner. It may not be placed on any other web site or otherwise distributed publicly without advance written permission. (Electronic mail is acceptable as long as you wait for a response.) If you mirror this mod page or anything The Owner has made on any other site, The Owner may seek compensation for the damages through a lawsuit. 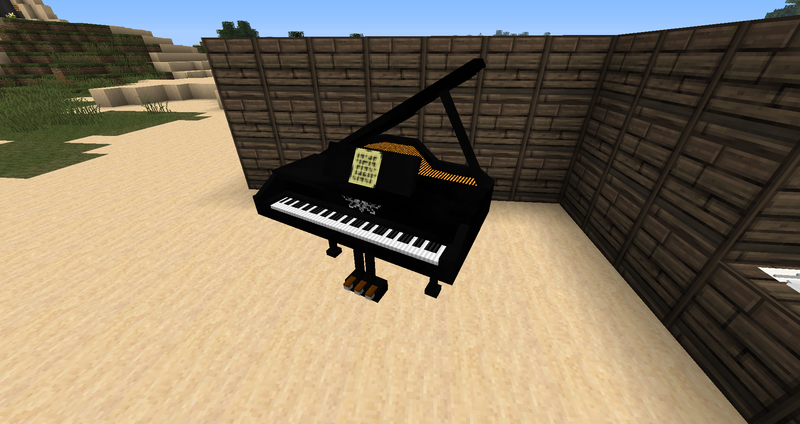 Added in a Piano and plates for tables!! That's great! What can I do to be your modeler? Idea for something to add. 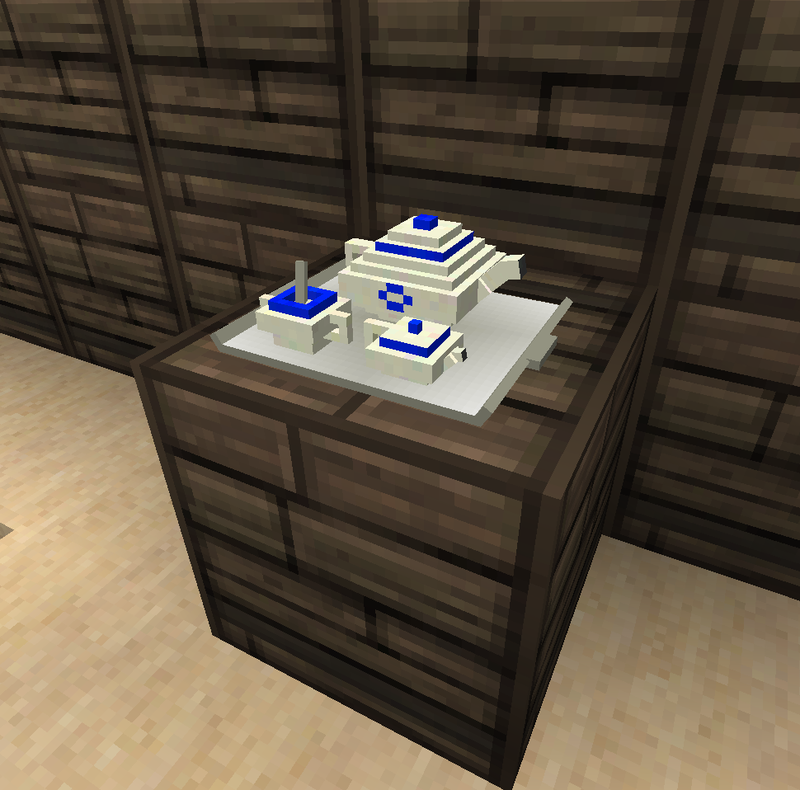 Wood burning stove which can be used for smelting (slower than regular furnace and only burns wood), then the wood stove will need to be added to the grandfather clock to power it (if you don't use an expensive crafting recipe). Well more progress today! 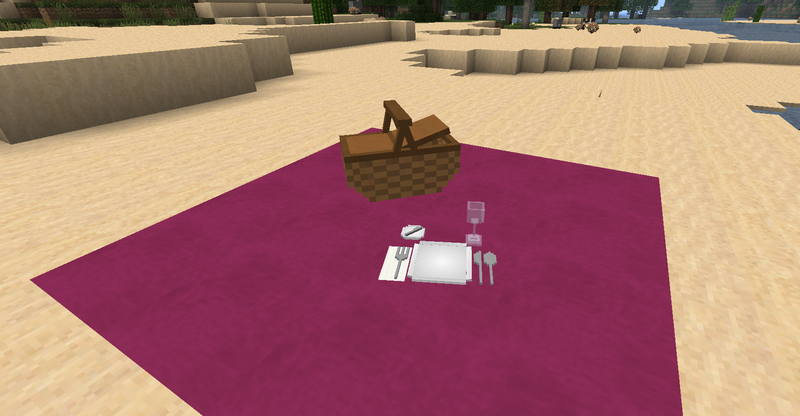 Added in rendered items to the toolbar instead of 2D images and added a picnic basket and some long crates! Thanks to my buddy VincentRH for the models! Finally the first release! I hope you all enjoy it and make some suggestions! 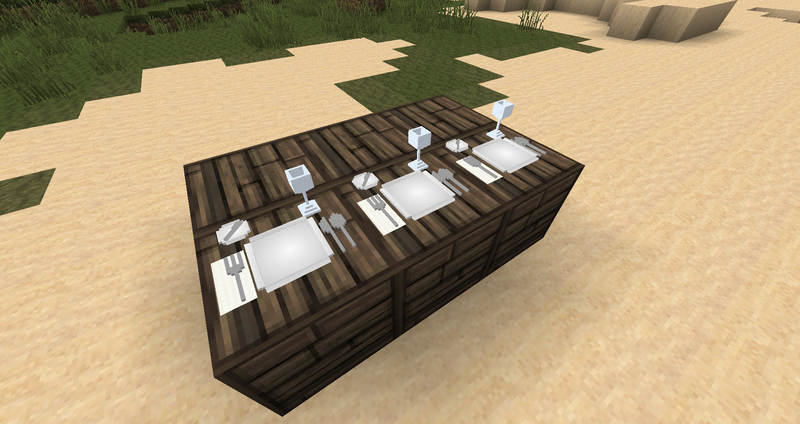 I've been looking for a mod like this, and this is EXACTLY what I need for my adventure map. Thanks! 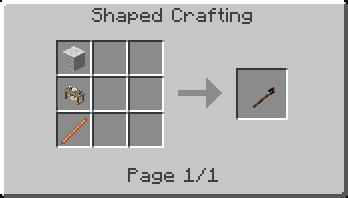 How about adding: Cello I know, I don't know jack about making mods, but make a real table Some chairs and how about a Harp? You're very welcome! :)Hey guys! 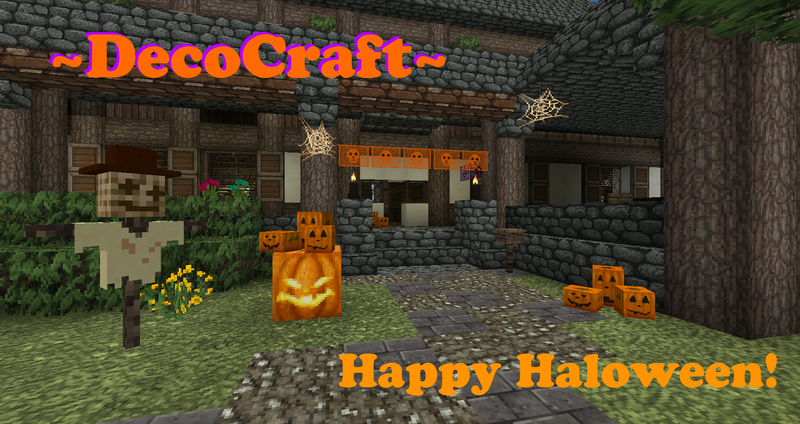 what do you think of my Haloween Banner pic?